I drive a 2001 Suburban and this week it will hit 178,000 miles. It still runs great which is a good thing because with one child driving, one more to hit the road in a little over a month and then one more coming two years from now, I need my car to keep running for as long as possible. The one problem I have been having is that it takes three or four attempts to actually start. I asked a mechanic friend of mine what the issue might be. He asked if when I get into the car and turn on the ignition if I wait between the time I turn the key to the time that I actually turn the ignition to start the vehicle. He explained that the fuel pump needs time to pump gas to the injectors in order for there to be fuel at the proper place to start the engine. What I just explained may have been Greek to you and quite honestly, I tried to explain something that is above my pay grade so I am not sure I understand it either. At any rate, for the last couple of weeks I have been trying to remember to turn the key on and then wait before trying to start the vehicle. It has been one of the most difficult things I have tried in some time. I gave up Diet Coke for Lent and I think that was easier than waiting to start my car. Sound crazy? I guess it is, but I am the type of person that is always in a hurry – I always have a plan and part of the plan is completing the plan as quickly as possible to get on to the next plan. I have to consciously strive to slow down. Slowing down is so important in our spiritual journey. If we fail to slow down, often we miss what God is doing all around us. It is also important slow down and not jump into things without taking the time to pray and lay the plan before God. So maybe, we should wait before we start on many levels. Just a thought. Take time today to slow down and look for God. I assure you that God is at work – you just need to look. Today is the first day of class for my oldest son. He is headed to college and today is his first day. I remember when Kristi and I walked him into his kindergarten class for his first day of school. I remember all the school programs, awards assemblies and other school functions. I remember soccer games and basketball games and all the other games in which we watched him play. I remember the surgeries and the doctors’ visits. I remember the hiking trips. I remember the mission trips and the church activities. I remember the awesome privilege of baptizing him. Today is full of memories as I think about the man my son is becoming. My prayer is that God will direct him in all his ways as he acknowledges God in all things. Jared, I am extremely proud of you. Please know that I am always here for you! I have the opportunity to speak to the high school varsity football team this morning. The coach asked me to come and do a devotional for them. I am pumped. However, he said he wanted me to talk for 30 minutes. People in church don’t listen for 30 minutes, how in the world am I going to keep the attention of high school guys for 30 minutes. The good thing is, I have a couple of football stories from my school days – that should buy me 5 minutes. Now – what to do for the other 25?! Seriously, I covet your prayers as I head off to talk to them. I pray that God will use this opportunity to touch some lives today. One of the best movies I have seen in recent years (yes, years) is To Save a Life (for more info on the movie click here). It is a story of a high school senior who comes to realize that there is more to life than being popular and having fun. He and a childhood friend had become estranged. He had gone the popularity route and his friend had been left behind and shunned. After years of being alone, the friend took his own life. At that point, the main character realizes that there has to be more to life than what he is experiencing. He begins to give God a try – trying out a youth group in a local church. But there he finds a bunch of kids who are just playing at being Christ followers. In one scene, out of frustration he asks the youth pastor why the church is full of of fakers. That scene still haunts my thoughts and burdens my heart. Why? Because it is true. People are hurting and even dying all around our manicured lawns and pristine buildings while we sit inside and play Christian so that we can feel better about ourselves for another week. Wow, that was harsh! But please understand my heart in saying it. God has no plan B. God’s one and only plan is for Jesus followers to be salt and light in a world that is tasteless and dark. If people are going to be drawn to God then Jesus must be lifted up and if Jesus is to be lifted up, that must happen through us – the way we live, the way we love, the way relate to others. I realize, if you have even made it to this point in this post, that I may have offended you to the point that you never visit this blog again. I certainly pray that is not the case. Rather, my prayer is that every person who reads my ramblings here would take this as a challenge to be real. Jesus would rather have followers who are passionate – the lukewarm are of no use to him (Take a look at Revelation 3:15-17). God has created the church of this generation for this particular time and place. Are we as a church doing what God expects? Are you as a Jesus follower doing what God expects. It’s time to be real. Don’t be a faker. I do not propose to know or understand the mind of God, so I suppose I could be wrong, but my view of the God of scripture does not include a God who would deliberately cause injury to a person to teach them a lesson. I believe bad things sometimes happen to good people as a result of living in a messed up, fallen world. I also believe that what God expects us to do is rise to the occasion and handle these experiences with faith, grace and love. Each experience is an opportunity to grow in our faith – if we allow it. So the next time you find yourself in a less than desirable situation at no fault of your own, try to grow through it. God will walk with you through the whole ordeal. Today is the first day of public school here in our town. As I dropped my 8th grade son off at the middle school, it dawned on me that he is now in the top grade of the school. This is a new experience for him. It is the same school as last year but now, because of his age he is in a new place. In some ways, it is a new beginning. Really, all the students have a fresh start today – an opportunity to do things differently this year – to try harder – to make an impact. 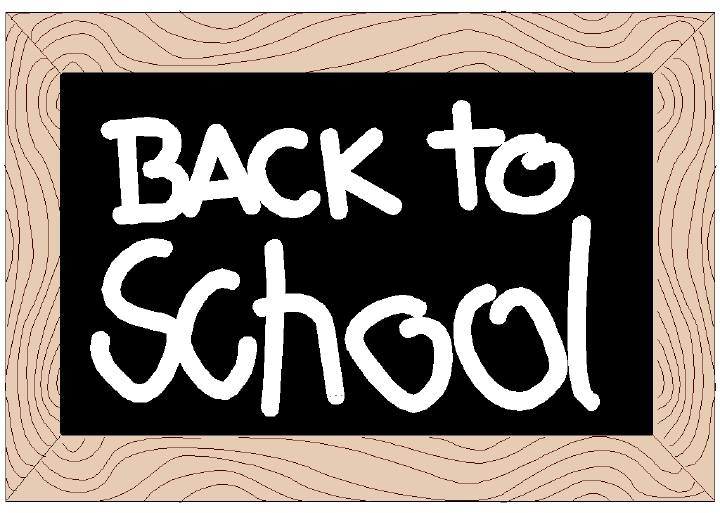 The beginning of the school year, in some ways, brings a fresh start for parents as well. Our schedule has changed – again! But it is our opportunity to approach our kids and parenting with a fresh perspective. What can you do this year to make your child more successful. What can you do differently to impact your child’s relationship with Jesus. Your mission, if you choose to accept it, is to spend the next 9 months focused on your own relationship with Jesus. Then allow that vibrant relationship to impact your relationship with your children with the intent of seeing their relationship with Jesus flourish. Today marks somewhat of a milestone for this ministry. Today is post number 300. When I started writing Clay In The Hands a little over 16 months ago, I honestly didn’t know what would come of it or even where it was headed. And to be 100% transparent, I am not sure I have a better feel for where it is headed even today. It truly is a day to day ministry. But today, I thought I would do something fairly simple. I have reflected a bit on what I have learned along the way over these last 16 months and 300 posts. Here are three things that come to mind. 3. The internet has a life of its own. It is amazing who God brings my way through a simple search. The search that brings more random visitors to the site is a search with anything to do with broken mirrors (I did a post a year ago called Focus in a Smashed Mirror) I guess there are a lot of superstitious people in the world. But I think its cool that God uses the internet to link superstitious people to my blog – you just never know! 2. It is more crucial than I had imagined that I keep my heart and soul in tune with God’s heart and soul if I am going to have anything to say. I knew going into this ministry that this would be difficult. And honestly, there was a part of me that decided that committing to write 3 to 5 times per week here would force me to stay strong in protecting my time in prayer, reading and meditation/reflection. I wish I could say that I have been committed daily to those things as I should be, but there are days that my prayer time gets pushed out. (I’m working on that) It has been proven over and over again that without spending time with God, I have nothing to say! And that is as it should be. And the number 1 thing I have learned is . . . .
1. You can never tell what God will do and who God will touch with what you say. I have noticed that Clay In The Hands, much like when I preach, can be used to touch folks regardless of how well it is written or even what I say. There are days that I post something and I turn around and look at it and think to myself, “What a pathetic attempt at saying something creative or inspirational.” And yet, I may get an email or a comment from someone who says, that is just what God needed to tell me today. It is an extremely humbling experience but one I wouldn’t change. I would be interested to hear from you today. How has God used this ministry to touch you?